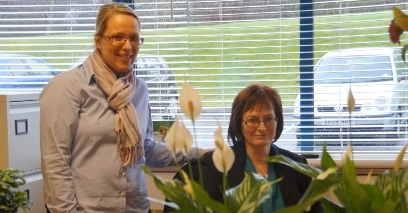 We are a family owned chiropractic clinic located in Livingston, West Lothian. Our clinic is in Brewster Square close to Bellsquarry, Murieston and Adambrae and only minutes from the centre of Livingston. There is free parking directly in front of our building, street level access and facilities for persons of reduced mobility. 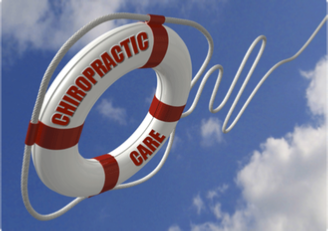 Chiropractic is a primary contact health profession that specialises in the diagnosis, treatment, prevention and management of conditions that are due to problems with the bones, joints, muscles and nerves, particularly those of the spine. We treat patients with a range of conditions such as low and mid back pain and stiffness, neck problems, headaches, poor posture, sciatica and shoulder, hip, elbow and knee pain. 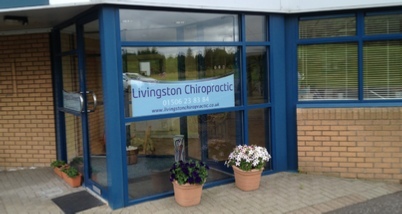 At Livingston Chiropractic Astrid (Chiropractor and Practice Owner) works on all parts of the body, concentrating particularly on the spine, using her hands to perform skilled, precise manipulation. We see patients of all ages including babies, children, expectant mothers and pensioners. To make an appointment or to find out how chiropractic care may help you or your family telephone 01506 238384 or visit our Contact Us page. We see patients of all ages, from babies to pensioners. We offer treatment for babies and children. And care for new mums during and after pregnancy. Our clinic has a comfortable waiting area with complimentary tea and coffee. Free parking is available directly outside with street level access. To book an appointment, or to obtain further information on how chiropractic may help you, call us on 01506 238384.
discover if chiropractic treatment may be suitable for you.